5 Simple Ways to Keeps Energized and Get the Most Out of Your Day, Every Day. Wouldn’t it be great, if every day could be a good day? 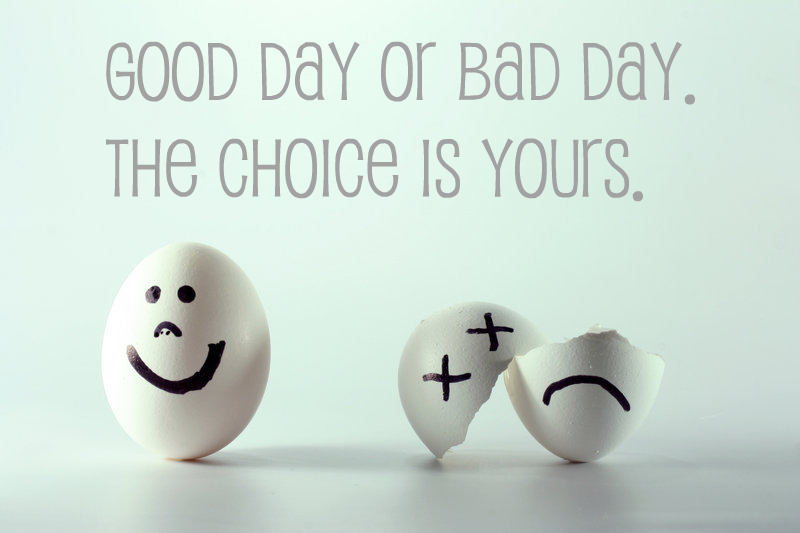 We all want to feel good, accomplished and happy at the end of our day. But that is easier said than done sometimes. When I decided to take on the life of an entrepreneur, everything changed. There was no 9 to 5 schedule (especially with clients being in different time zones) and no one telling me what to do. It provides a lot of freedom but it can also feel like a curse. I realized there was so much to do every day, the list was never ending. My standarts were high and many times I fel like I was now moving towards my goals as fast I would like to. As s perfectionist that I am, I felt I never had enough time on her hands to get everything on my list done. I felt exhausted and frustrated. I love Life Coaching and I enjoyed working with my clients but I never ran my own business before. This is my favorite! This habit alone can change the quality of your life big time. It has so many benefits and creates a great energy to wake up into. You will feel organized and focused as soon as you wake up instead of feeling overwhelmed and uninspired. Skip the morning stress. For many people morning can be frantic, stressful and full of distractions that can derail the purpose of your whole day. I like to have a peaceful morning as much as possible. If I know I’ll be waking up to an early morning meeting, I’ll plan my outfit and even my breakfast the night before. I am really big on healthy, tasty breakfast so I always make sure I give my body what it needs to function well in the morning. When I say plan your day, I mean plan your whole day. Plan the work, the lunch, the walk in the park and the grocery shopping. Block a specific time for each task and make sure to block some free time/ brakes as well to only do fun things and re-energize . That way you can actually see what is humanly possible and reasonable to accomplish each day and your day will feel more balanced as well. I use to make, long, ridicules lists that would leave me feeling exhausted and still feeling unaccomplished. I am so happy I gave that madness up. Planning your whole day, doesn’t guarantee that there will be no changes and reasons to tweak the plan. Life happens, and you may need to spend a few hours doing something unexpected – dog sitting for a friend, stay in the bed feeling little sick or just having a meeting that was not on your list. We need to be flexible, but that doesn’t have to effect your day in a dramatic way. If you only had time to do 3 things today that would make you feel great at the end of your day, what what those things/actions be? 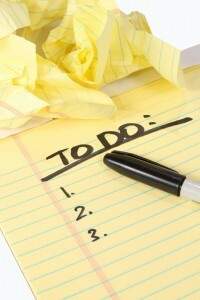 Put those 3 things to do at the top of your list and make sure to prioritize them over the rest of your list. Now you are clear on what is ok to let go of, move to another day or just eliminate all together. What Tim Ferriss really mean is: Stop reading that article that is crap (and you know it). Step away from the the computer if you got sucked into a Facebook chat that is obvious waste of your time. Stop cleaning the house if your business need the attention, the dishes can wait till tomorrow. If you don’t like the book, you are reading (that your friend recommended big time), just put it down and invest your time and energy into things that actually make you happy and empowered. NO need to explain or defend your self. Just quit. This is a simple habit and I pretty much got addicted to it. And I am glad I did. One of my favorite Abraham Hicks videos. Enjoy and power up! Our bodies were meant to move. Today many of us have lifestyles and jobs that keeps up stuck to a desk, in a cubical, hunched over a computer or…you know what I am talking about. This can create stiffness in our bodies , in our energy and in our minds. You know, I am talking about those days when you just can’t seam to pick your energy up. This is also causing many health issues people face today – severe back pain, headaches… and can effect your productivity and overall quality of your life BIG time. I like to stretch my whole body – head to toe and I finish by jumping on the spot for a minute or two. Taking dance brakes (if you are lucky to work from your home like me) is always a good idea. I also love this Chi-gong exercise that seams to gently wake up my whole body and I can feel my energy buzzing right away. Have a fantastic, productive day everyone!